Throwing a bridal shower can be so much fun! There’s a lot of planning that goes into the perfect shower and theme. 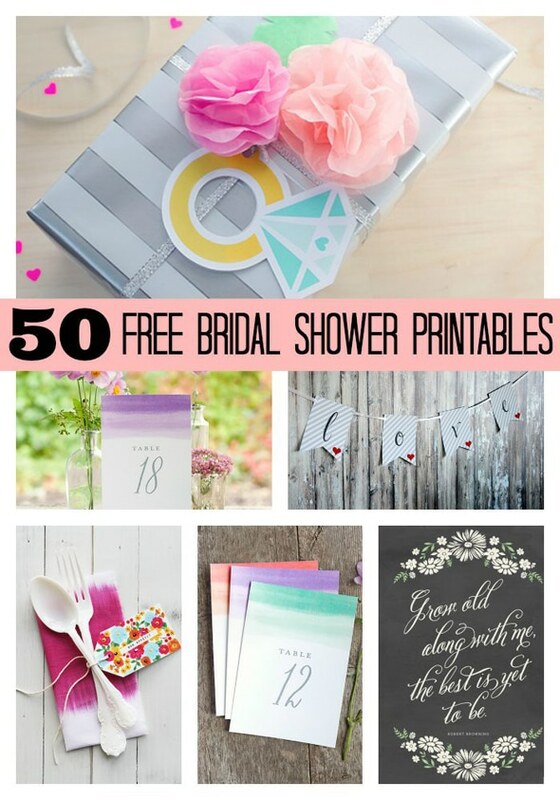 We’re making the planning a bit easier with these 50 free bridal shower printables! Don’t miss this gorgeous floral free bridal shower printable set, which includes 2 games and a Miss to Mrs. banner from Painting Paris Pink! Also, be sure to check out some of our favorite wedding and bridal shower products below! What’s your favorite printable? Let us know in the comments below! Free Printable Recipe Cards for the Bride: Evermore Paper Co. These are great! Some of these would work well for a baby shower, too! Great for Baby Showers as well! Love these ideas thanks for sharing!